Absorb this into your ears and you will feel that sensation of flying, of soaring through orange sunset skies cutting through the chill of clouds, of racing racing divebombing pulling up and twisting in the air. 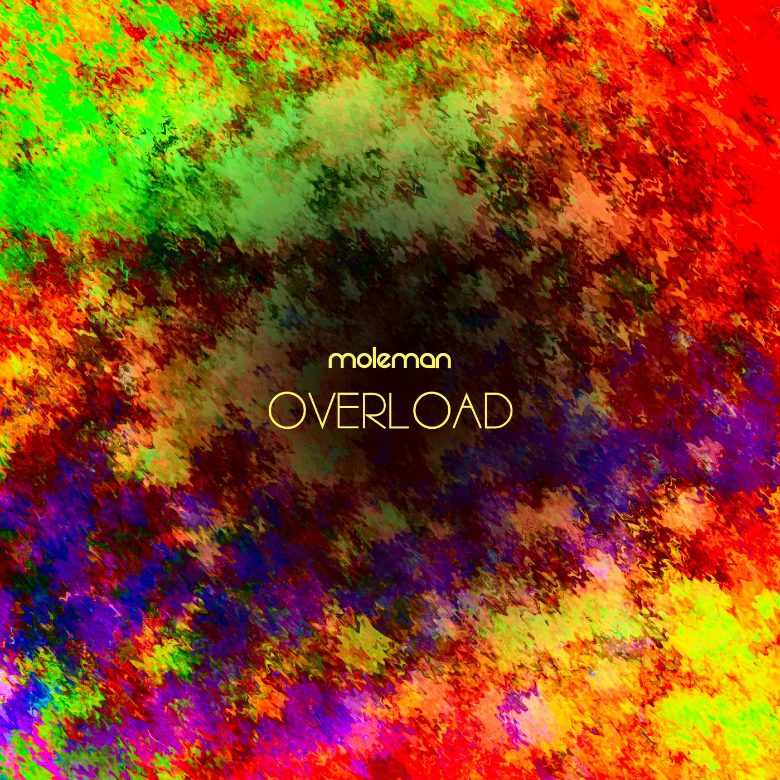 It is the undeniable momentum of 'Overload' that summons these images, firstly of course for being buttressed by drum and bass flavoured beats, but secondly for the rapid-fire synth arpeggio charged with energy, the juice that dresses the track in skittering start-line potential throughout. A good arpeggio will do this—just peep this track theme from SNES wonder Top Gear. It's literally racy. Sufficiently doused with bright hyperactivity, Moleman drives the music along with hefty judderings of electro bass, locking with the punchy beat and its thicket of hi-hat shuffle for extra kineticism, a four-note pizzicato sound expressing urgency, willing it along. But despite its velocity, its crackling energy, there is sadness woven into this audio: at 01:14 electronics laid bare play a lament of longing, synth chords stretch out hopefully, glockenspiel chimes out a plaintive melody, and strings cry high and emotive. Like saying goodbye, or the feeling of freedom with fear of loneliness looming ever close, here is bittersweetness in all its beauty and tragedy, hope and regret. 🔔 Moleman is from Bournemouth, UK, and has been making music since 2010. You can see and hear more on his Patreon page, where he admits that "2017 has been a huge turning point in my life in many ways," having stopped worrying about record labels, audio equipment, marketing—all the small but stressful stuff that he said "totally killed the fun and creative process" in recent years. It might perhaps explain the free and expansive sound of 'Overload'.